Are you concerned about maintaining and growing attendance at your conferences? To address this concern, Capital Reach has launched SessionsToGo, which provides all paid attendees with the added benefit of free virtual access to sessions after the conference has ended. SessionsToGo may be delivered to your conference attendees either by CD-ROM, Online or both. A publicly available "highlights" website and webcast can be included to market your meeting to individuals who do not attend. A pay-per-view interface also is available to generate additional revenue with sales of SessionsToGo to those who did not attend. SessionsToGo gives conference organizers the opportunity to provide another benefit to attending their meeting at no additional charge. This solution helps overcome the challenge attendees face in seeing every session or catching up on material that they would like to hear again. These features are a substantial upgrade for users of the traditional audio cassettes or audio CDs now offered for sale at many conferences. These traditional solutions lack the interactive features, such as the presenter’s slides, that enable the listener to fully experience the material. Over the past several years, sponsors have grown to understand the value of a continuing education resource like SessionsToGo. While it does not replace the value of on-site visibility, conference sponsors are able to extend brand awareness beyond the physical meeting long after it has ended at the same time providing a valuable new resource for association members. SessionsToGo webcasts provide sponsors tangible metrics on usage which validates the support they provide. For these reasons, SessionsToGo offers a unique new outlet for sponsors to demonstrate support for an industry. Recognizing the challenges that organizations face in raising funds, Capital Reach has launched a Sponsorship Program that matches companies who are looking to fund distance learning projects with associations and other non-profit organizations. The program funds the deployment of SessionsToGo and guarantees a share of the sponsorship fee for the organization. Working with our sponsorship-sales partner, we meet with our customers to assess funding potential based on the meeting program and the profile of attendees. 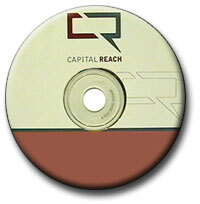 Once a full assessment is made, Capital Reach proposes a funding campaign. After funding is raised, Capital Reach manages the elements of the entire project from on-site session capture to integration with the organization’s website. Learn more about our sponsorship program.